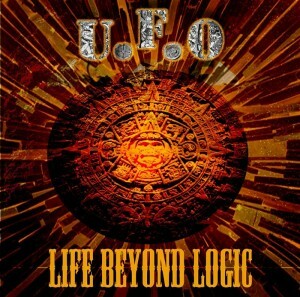 Neurotrance Records and U.F.O present Life Beyond Logic, a polished cohesion of ethnic, symphonic, downtempo, progressive psytrance, and shimmering ambient textures. An atypical musical experience that will relax and energize, inspire, transcend and will sweep the listener along as each song tells its story. Mastered by Michel Bar at U.F.O Studio with artwork by Omar Smajda. MP3 Download | FLAC Download | WAV Download · Download count: 8,123. Beautiful melodies, well-varied percussion that eliminate the sequential mono-tonia, a collection to keep. With compliments. i love it. fits well with the overall space theme. Waiting for the next album!!! good stuff !! keep on the good work! This will do for sure, my listeners will have a blast! Will play it on my FM Radio show “Give Peace a Dance” WSLR 96.5 FM Sarasota Florida, a noncommercial & none for profit radio station, every Saturday 7-9PM EST. Thank you DJ Normen … tune in where ever you are via our website. Very nice blend of electronic downtempo and progressive. it has its own unique style. looking forward to hear more ! No problems downloading, but there is something seriously wrong with the wave file. I thought it was my computer, and I had to buy AVG tuneup to get rid of it. When ever I played or tried to move files, my computer slows right down and eventually freezes. So I d/l it again, but same problem again, except this time the AVG shredder can’t get rid of it. One of the best electronic album ever released.. I am relatively new to trance.I have kind of evolved from Full On..to Goa..to Downtempo. I have downloaded lots of Downtempo stuff only to be pretty much disappointed.The only albums I have really enjoyed is this one..and Chronos Technilogica and Phone Booth Robbers. What other artists offerings should I be looking at if this is the type of Techno that I really like?Are there forums somewhere that I could get some advice? Thanks U.F.O for an outstanding release.